Experts available 7 days a week! Carnival Cruise Lines Fun for All. All for Fun. 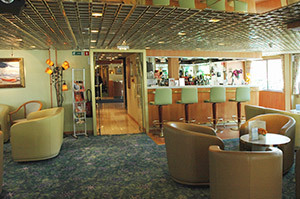 Crystal Cruises All-Inclusive Ultra-Luxury Cruising. Cunard Line The Most Famous Ocean Liners in the World. Disney Cruise Line Magic Included! Holland America Line Savor the Journey. MSC Cruises Not Just Any Cruise. Norwegian Cruise Line Cruise like a Norwegian, with Freestyle Cruising! Oceania Cruises Your World. Your Way. Princess Cruises Come Back New. Royal Caribbean The Sea is Calling. Answer it Royally. Viking River Cruises Exploring the World in Comfort. MS Miguel Torga has been providing French river cruises for customers since 2017. MS Miguel Torga travels the many locks, canals, and rivers of Europe to bring guests all that European waterways have to offer. An advantage of taking a river cruise on MS Miguel Torga is that guests will be able to experience much more than they would on a land tour of Europe. The best part is that you get to travel while you sleep! 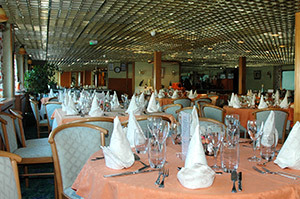 CroisiEurope is known for having some of the best authentic French cuisine aboard all of their river vessels and MS Miguel Torga is no different. Expertly trained chefs use some of the freshest local ingredients to bring you classic French dishes that will leave you coming back for more. All meals are expertly paired with red and white wines, free of charge, or guests can choose their own from a vast local wine list, additional charges may apply. Throughout the day guests can take all the time they want to explore every European town along the river. Having a river vessel that travels overnights translates to more port time for every guests. A MS Miguel Torga cruise is truly the best way to explore everything that European waterways has to offer. 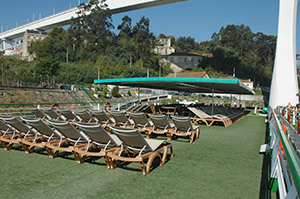 One of the main attractions for sailing on MS Miguel Torga is the river cruise experience. Guests will be able to visit smaller and more quaint ports than they could on an ocean cruise. Guests will also be able to visit multiple ports in one day and take advantage of much later departure times from port cities. This allows ample time to get the full experience of each city along your itinerary. MS Miguel Torga chefs are expertly trained in French cuisine and work hard everyday to bring you fine food prepared with the freshest local ingredients. Each menu is carefully selected and designed by Alain Bohn, CroisiEurope's head chef who was recently nominated as a member of the Maitres Cuisiniers de France. Huge Discounts & Low Price Guarantee on all MS Miguel Torga Cruises! Book any MS Miguel Torga cruise with us and you'll get the best deal possible, regardless of the ship or sail date! Because of our huge price discounts and "Low Price Guarantee," nobody beats our MS Miguel Torga cruise prices, so look around and you're sure to find the best MS Miguel Torga cruise deal possible when booking with us! All CroisiEurope sailings feature complimentary beer and wine at lunch and dinner as well as open bar throughout the voyage. Does not include champagne, special wines, or fine brandies. We do not charge booking fees on any cruises! You're sure to enjoy an affordable MS Miguel Torga cruise when booking with us! Our special offers on MS Miguel Torga cruises may not be combinable. Certain restrictions apply to each offer. View terms and conditions during the online booking process. Click a price below to view the MS Miguel Togra cruises during that month in that destination. Use our Advanced Search if you'd like more search options. Pricing listed above is per person, based on double occupancy in the least expensive accommodations available, are subject to change, may not reflect the most recent pricing, and get updated daily at 4:00 am. 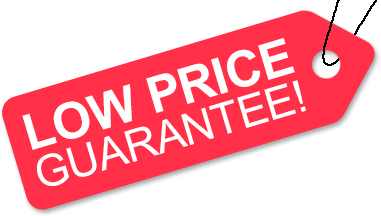 Prices don't reflect discounts and special promotions that you may qualify for. Go to Step 3 of the online booking process to view the live pricing and latest sales. Government taxes and fees are additional (viewable on Step 5). Approximate Size: 129 sq. 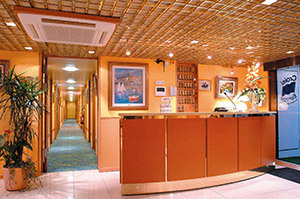 ft.
Staterooms include shower and toilet, hairdryer, satellite TV, and safe. All stateroom descriptions are subject to change. Photos provided are not guaranteed to accurately represent the room listed. 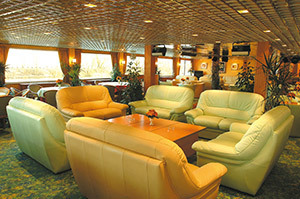 Some staterooms in the same category may have different furniture arrangements or be a different size than listed. We reserve the right to correct errors. Please verify all details with the cruise line directly. The deck plans of MS Miguel Torga provided on this page are subject to change. We reserve the right to correct errors. Please verify all information with CroisiEurope directly. For photos of staterooms, please click the accommodations tab provided above. Photos below are artist's rendering of MS Miguel Torga . Ship is subject to modifications. Find the Best Travel Deals! © American Discount Cruises Inc. All rights reserved.